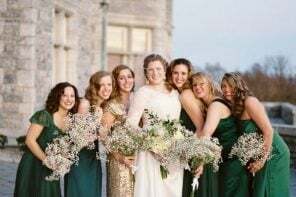 If the save the dates for your upcoming wedding can be found buried beneath a stack of comic books and Star Wars novels on your coffee table, you are probably hunting for ways to incorporate a few of your favorite nerdy things into your big day. 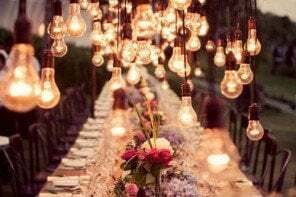 With the buzz surrounding geek culture at an all-time high, the search is on for ways to extend the wedding invitation to our pop culture heroes, but in ways that still look like they belong alongside traditional roses and lace. 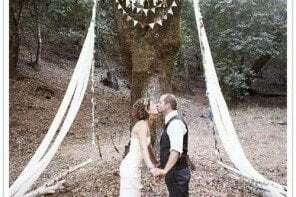 So, how can you bring together the over-the-top nerd wedding of your dreams and the sophisticated wedding ceremony you’ve always imagined? 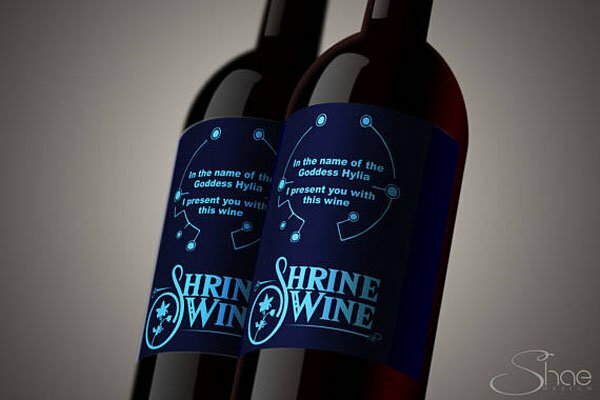 Sprinkle a few of these geek chic ideas throughout your reception for a unique celebration that reflects the fictional places, characters and stories you love. 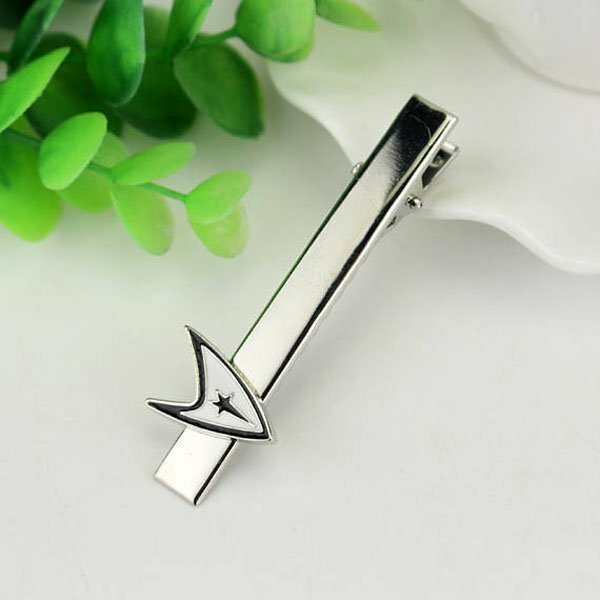 This tie clip is a sleek, subtle way to let your guests know that your husband-to-be is the starship captain of your dreams. If your bridal party is full of Star Trek fans, this can also make a fantastic gift for your groom to give to his groomsmen. 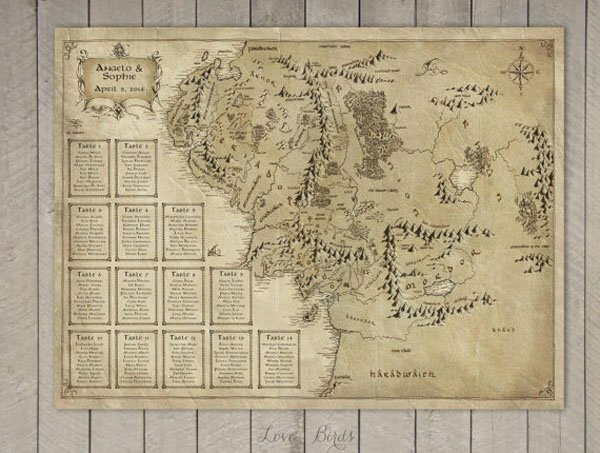 Don’t let your ring bearer get lost on the way to his seat at the reception with this Lord of the Rings themed seating chart. Download and personalize the chart to your guest list, then frame it and place it on an easel by the door to your reception to charm your guests with this beautiful, geeky treat. 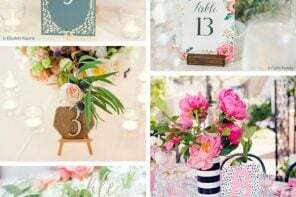 What better way to work something you love into your wedding day than to choose a guestbook alternative that will decorate the walls of your home for years to come? 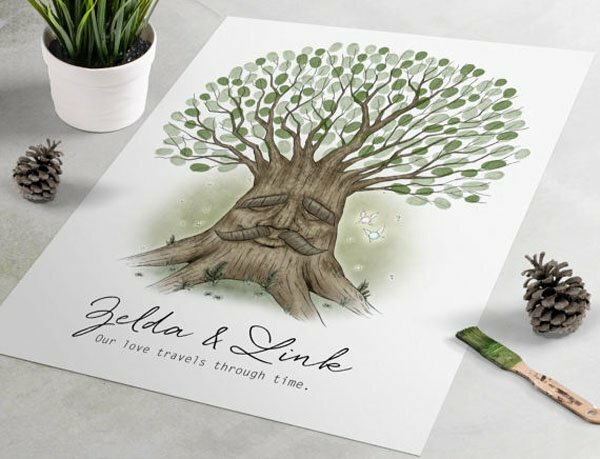 This gamer’s twist on the trend of fingerprint guestbooks is one of those “if you know, you know” nerd references that will bring delight to guests who love Link and Zelda as much as you do. 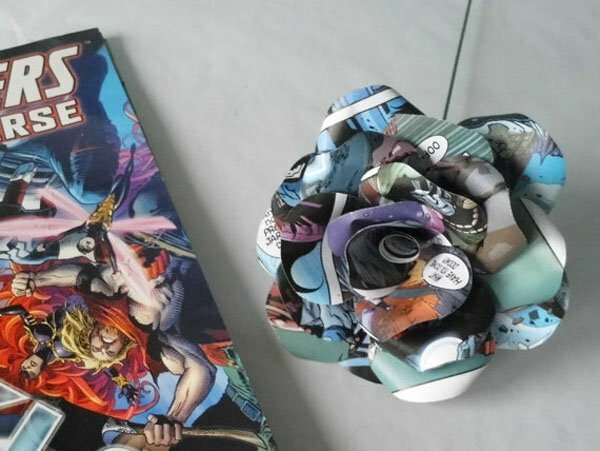 Bring a little superhero flair to your guest table centerpieces by incorporating two or three handcrafted flowers made from the pages of your favorite comic books. 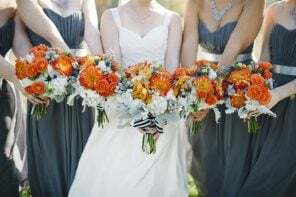 As an added benefit, you’ll be able to treasure these flowers long after the rest of the blooms fade. 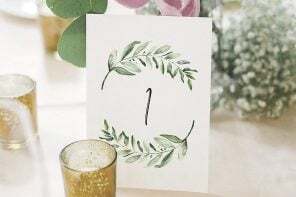 Enchant your wedding guests with table numbers in the impossible-to-mistake font used on the cover of the Harry Potter books. 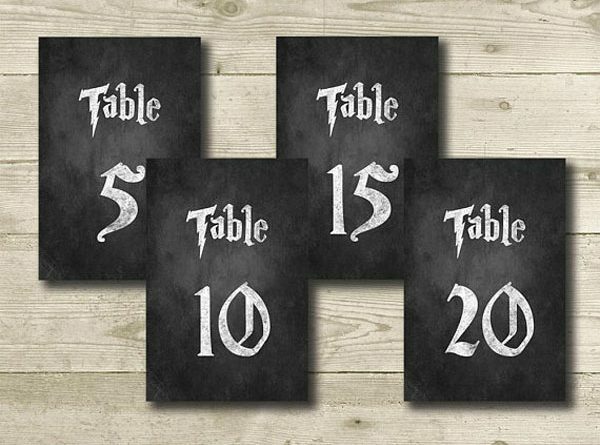 These table numbers bring a little magic to reception centerpieces while giving a nod to the world famous lightning scar of the Boy Who Lived. 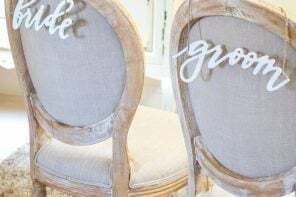 It may be bad luck to bring Game of Thrones into a wedding day, but for the bravest among you, these seatback signs are as poetic as they are nerdy. 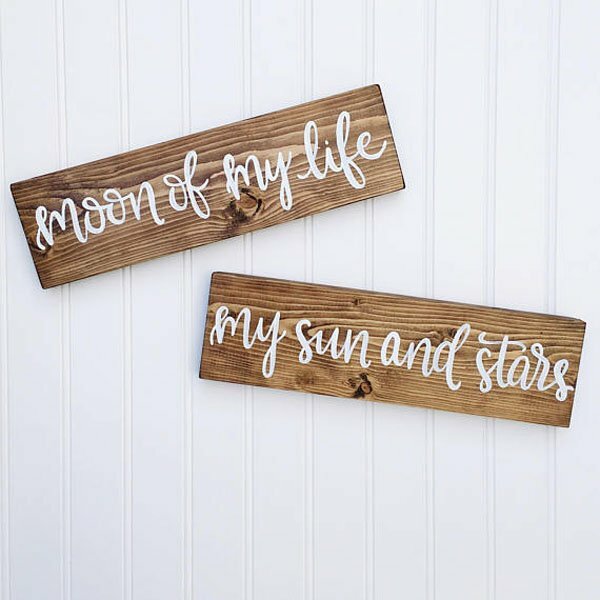 Attach a ribbon to these hand-painted wooden signs to hang them on the chairs at your sweetheart table, and feel like a Khaleesi on your big day. 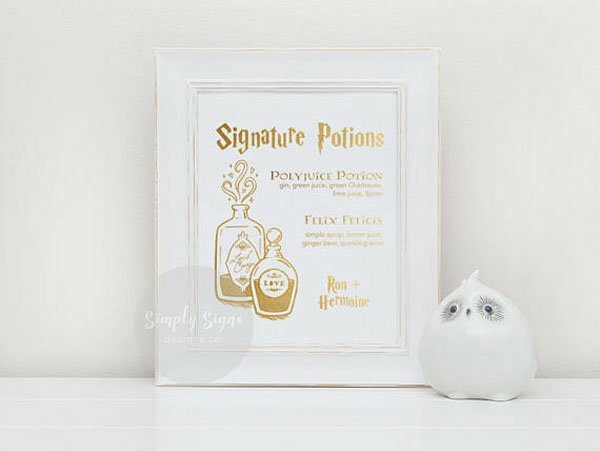 An entertaining way to make your signature drinks even more, well, signature, is to give your featured beverages Harry Potter themed names. An old-fashioned becomes Felix Felices and a vodka cranberry is a Love Potion, all with just the wave of a wand…and a few minutes on a computer. 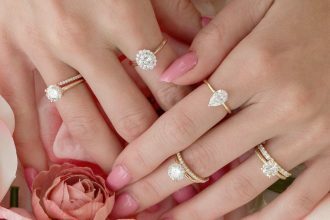 What better way to begin a marriage than with a wish to live long and prosper? 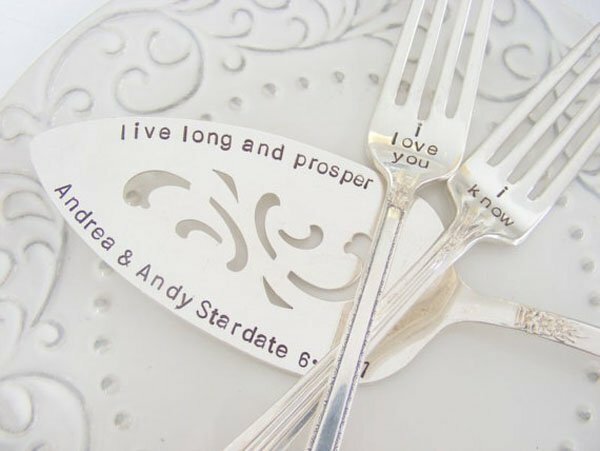 This personalized cake server, with bonus Star Wars themed bride and groom cake forks, is not only perfect for your wedding day, but a precious keepsake to be revisited when serving any sweet treat throughout your long and prosperous lives together. If you’re looking to bring the distinctive artwork of comics into your big day, this Mr. and Mrs. head table sign will wow your guests. 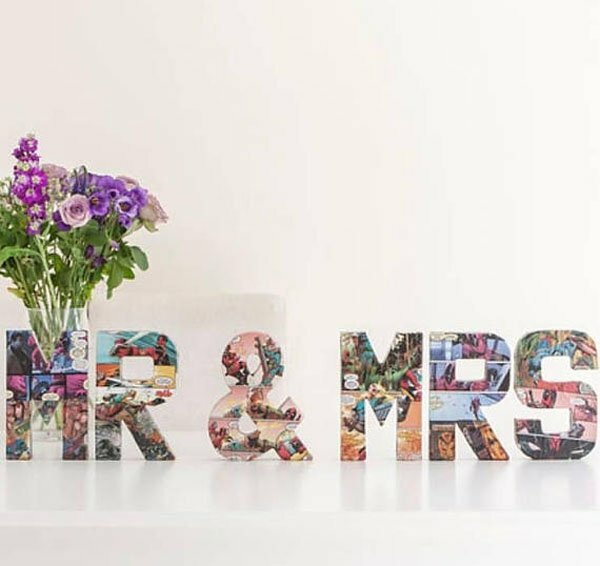 Not only are the letters uniquely handcrafted, but they will also make you and your new spouse feel like superheroes.